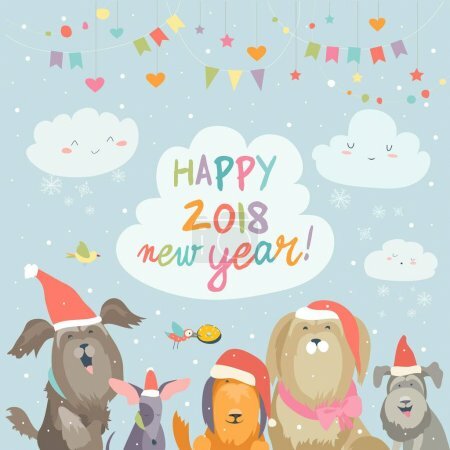 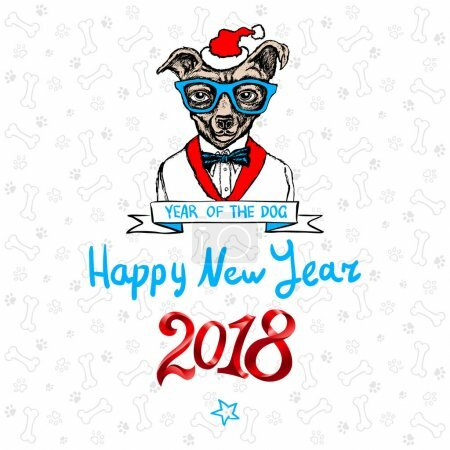 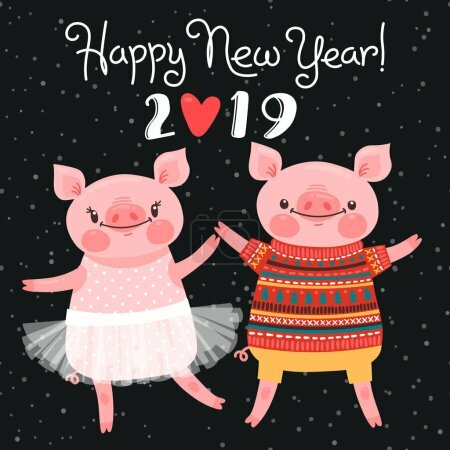 Happy 2019 New Year card. 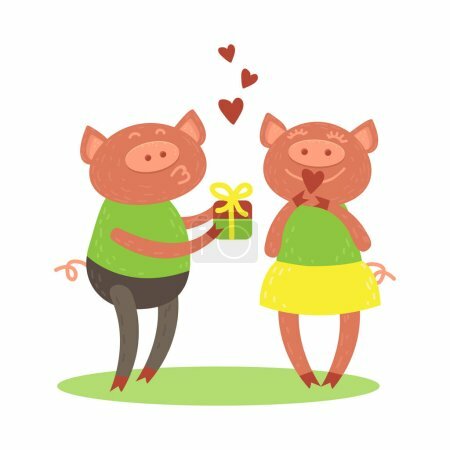 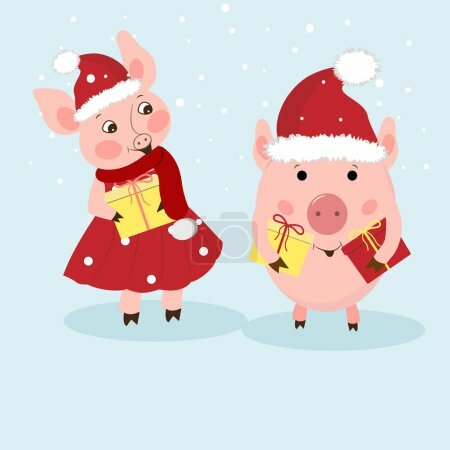 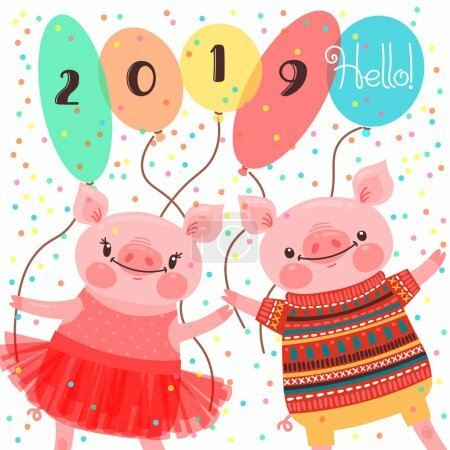 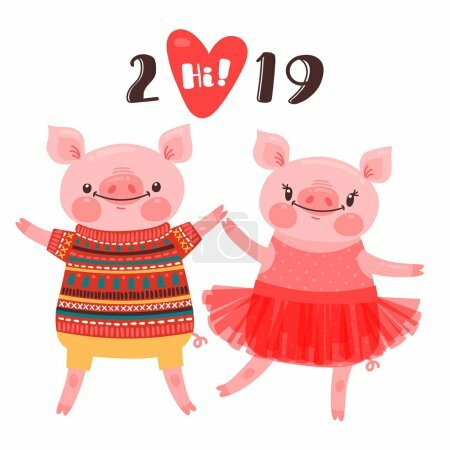 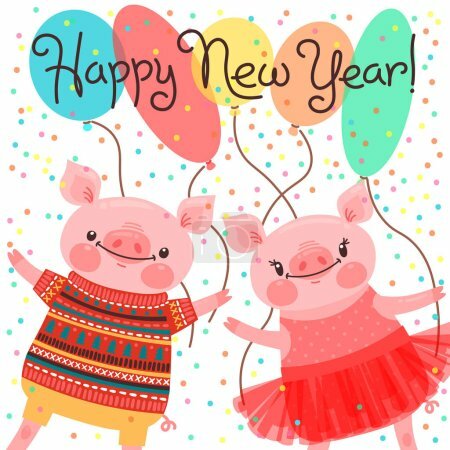 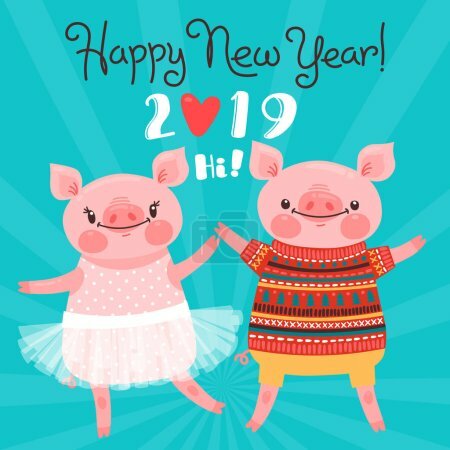 Couple of funny piglets congratulate on the holiday. 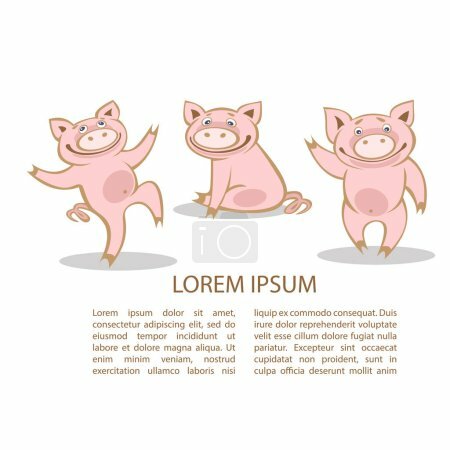 Pig in ballet tutu and boar in sweater. 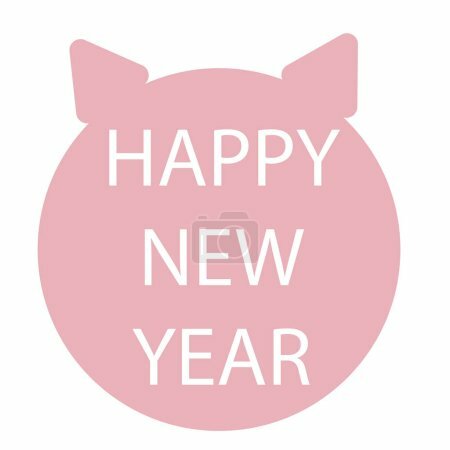 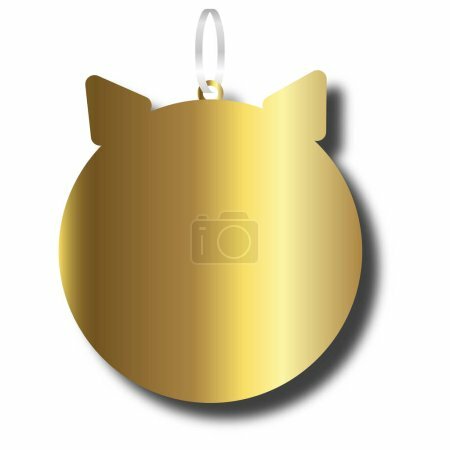 Pig Chinese zodiac symbol of the year. 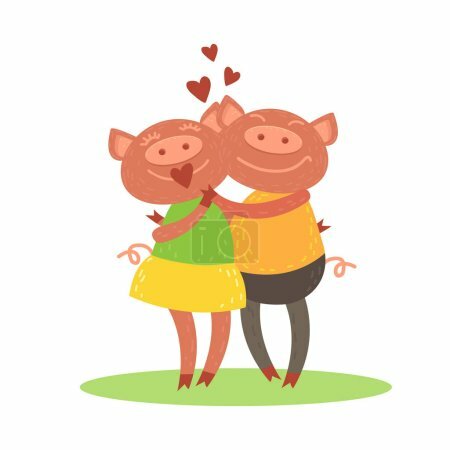 Vector illustration in cartoon style.